I have read most of Colin Bateman's books and they (or I) are so quirky, they never fail to make me laugh. Whenever I am a bit down I read" I predict a riot, murder, Extortion and a carrot cake." I LOVE HIS WRITING but I think you have to suspend belief and just go with Colin on his fantastic voyages. Colin Bateman does his usual and creates a storyline which stretches credibility just beyond normal limits, but incorporates characters that have likeable and consistent personalities, making a thoroughly enjoyable mix. 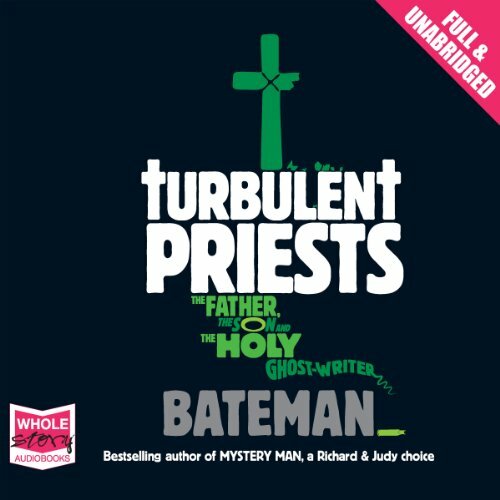 Turbulent Priests maintained my interest throughout, had it's fair share of laugh out loud moments and a good few sharp intakes of breath too. I've no knowledge of Scottish accents so I can't comment on accuracy, but the narration certainly brought the characters to life, though it had it's own particular and at times stilted style. Overall a really enjoyable book, well worth a listen.